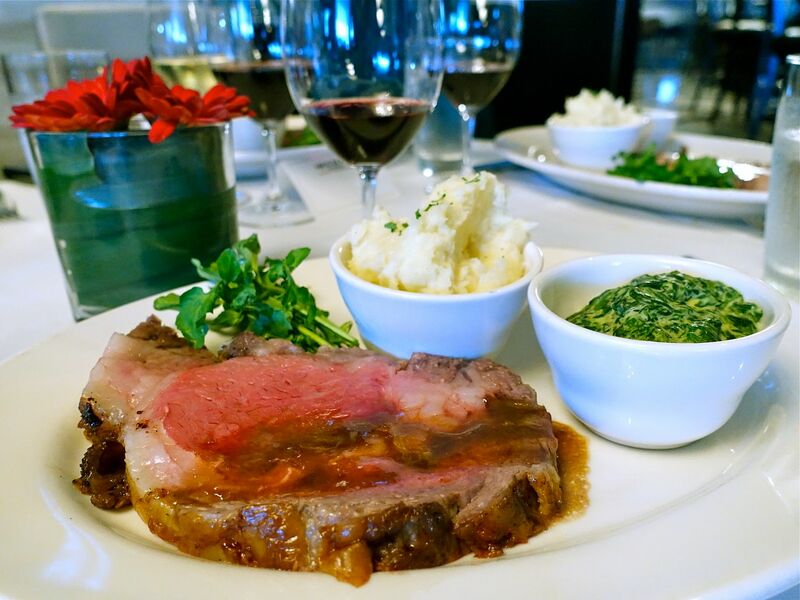 Sundays are made of Sunday Roasts and where better to have it other than at Morton's The Steakhouse, a Chicago steak establishment at The Mandarin Oriental Hotel Singapore. Yes, we no longer have to wait till dinner to feast on the perfect steak with Morton's three-course Sunday Lunch priced at only $65++. 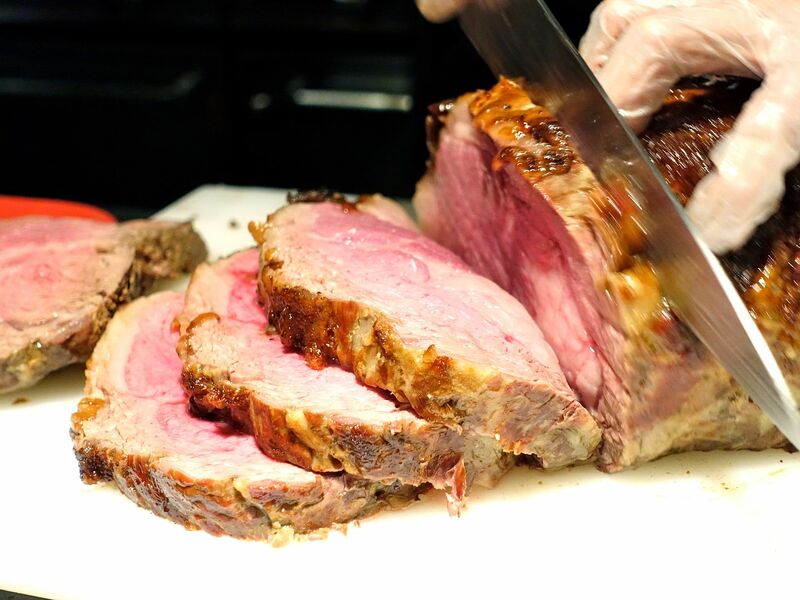 How does a 16oz juicy Slow Roast Prime Rib sounds to you? WE SAY YAY. The Sunday feast begins with an appetizer and you cannot give the intense Signature Lobster Bisque a miss. It's smoky, umami, and so silky. 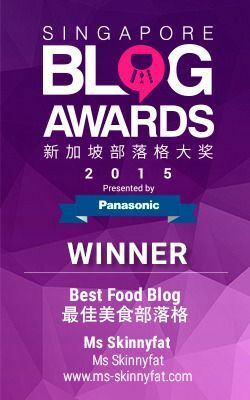 We couldn't stop dipping the gorgeous onion loaf into it. 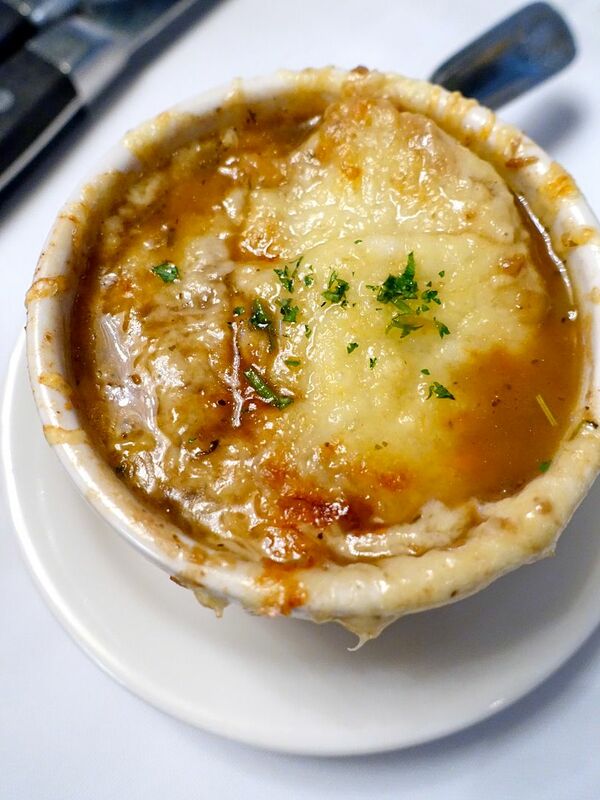 The savory-sweet Baked Five Onion Soup is a close second and we adored the stringy cheese that tops the soup. The greens are not quite worth the stomach space actually, being low in nutrients (lettuce are mostly water). That said, the Centre-Cut Iceberg is a good carb-less vehicle for that glorious blue cheese sauce!!! 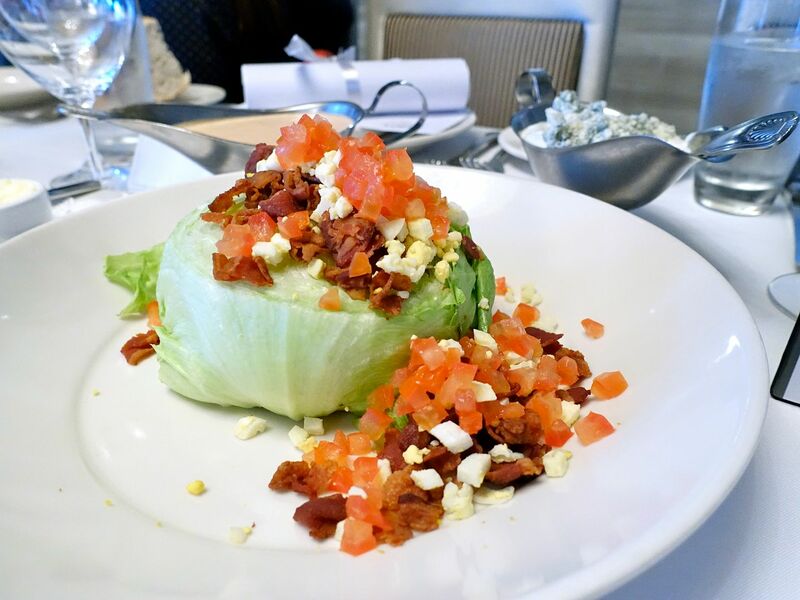 I have no idea how anyone would be able to finish this head of lettuce as an appetizer on their own. 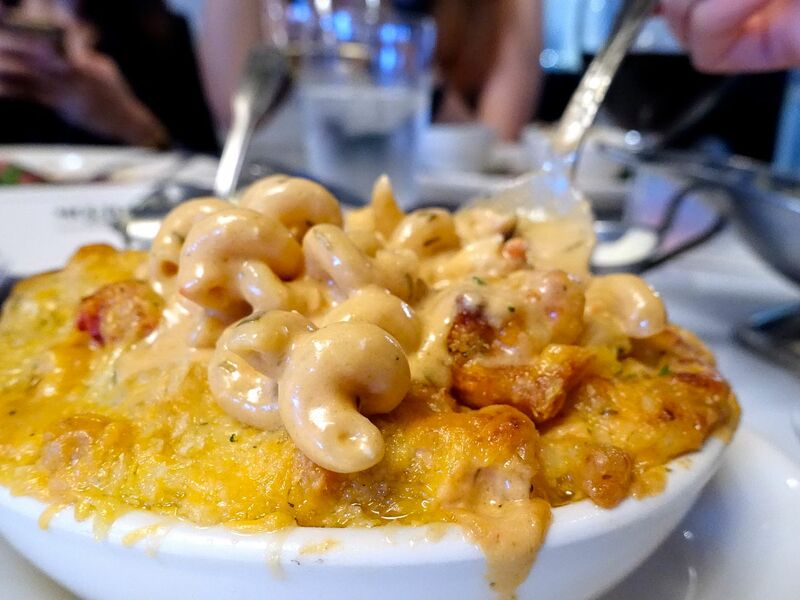 NOW NOW, make sure you come with company so that you can have some of that heavenly Lobster Mac & Cheese as an additional order. This is hardly a side, it may potentially overshadow the mains here. Is $70 is worth the tag on a mac & cheese? HELL YEA if it's filled with chunks of succulent sweet lobster in every bite. And that sauce was like a condensed version of the lobster bisque! On to mains! You definitely have to do steak at Morton's Steakhouse obviously!! We're more than happy to top up $25 for the 16oz Slow Roast Prime Rib which was amazingly juicy and pink, just the way we love it. The roasted edges were tender as well and has more flavor due to the rub. I highly recommend that you add on a round of truffle butter (+$5) to go with the meat. The heady fragrance provides so much more flavor to the already buttery meat. 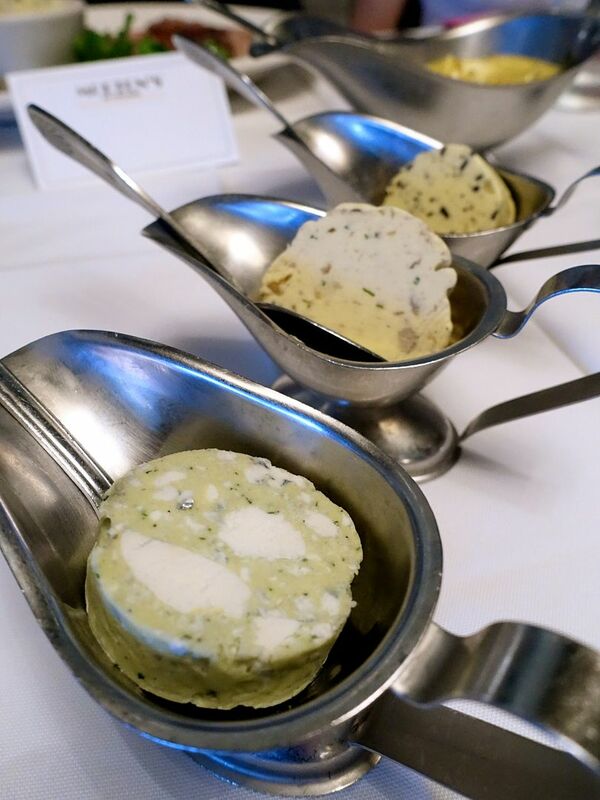 There're also foie gras cognac butter, and blue cheese butter, cognac sauce, and an Oscar sauce made from Bearnaise, jumbo lump crab and asparagus (+$15). If ribs are too fatty for you (what nonsense), there's also the lean 8oz Center Cut Fillet Mignon for a $15 supplement. Have the easy drinking red to go with. 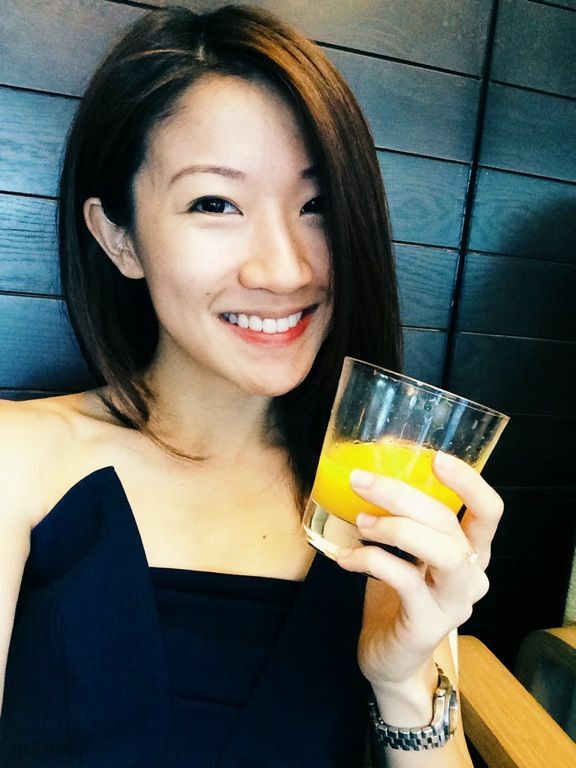 If you're not for steak, here are your alternatives, which are pretty decent too. 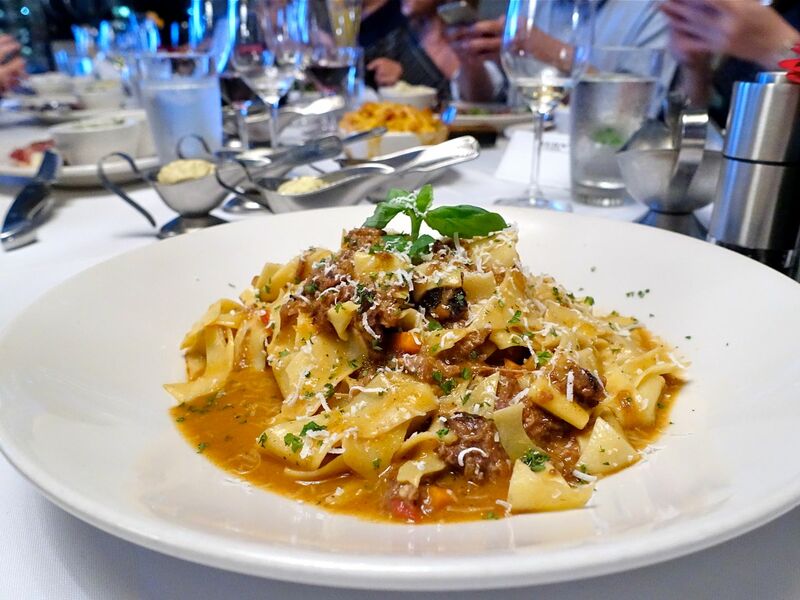 How about a flavorsome Short Rib Bolognese with al dente pasta sheets? 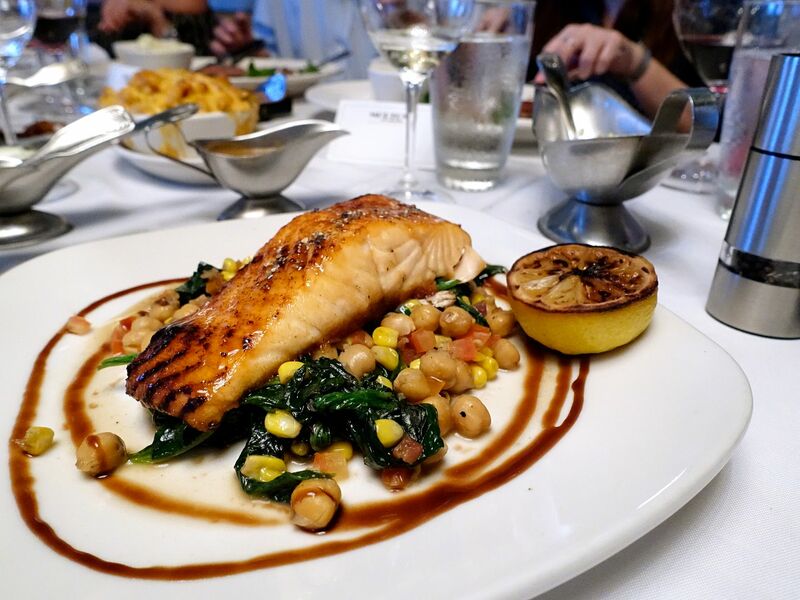 We may just have to make someone from our party order this yummy Salmon with Honey-Balsamic glaze! Desserts include a velvety Double Chocolate Mousse or a slightly tart, silky Key Lime Custard Pie with a nutty crunch. Wash it all down with Morton's 20 new cocktails like the Ginger Cat Paw, Pineapple Mojito, or spicy jalapeno Masalita. 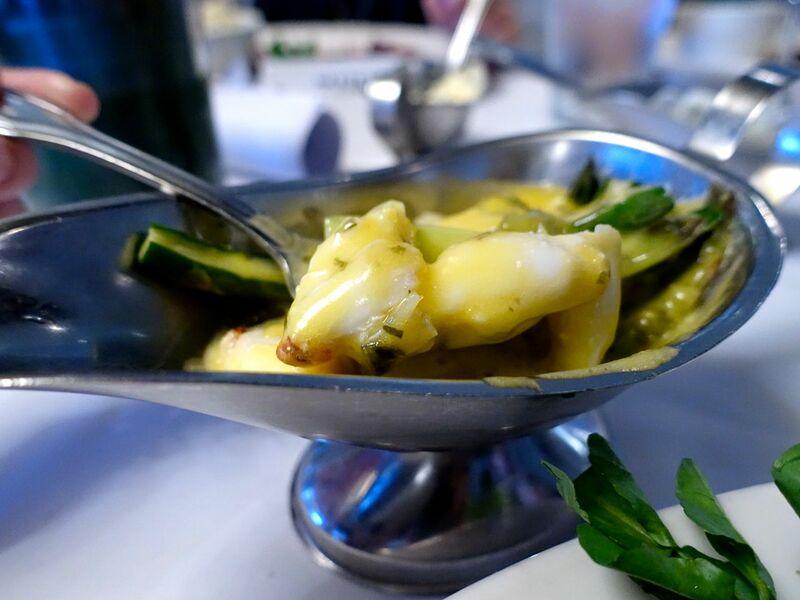 The less adventurous will be satisfied with the legendary MORtinis still. 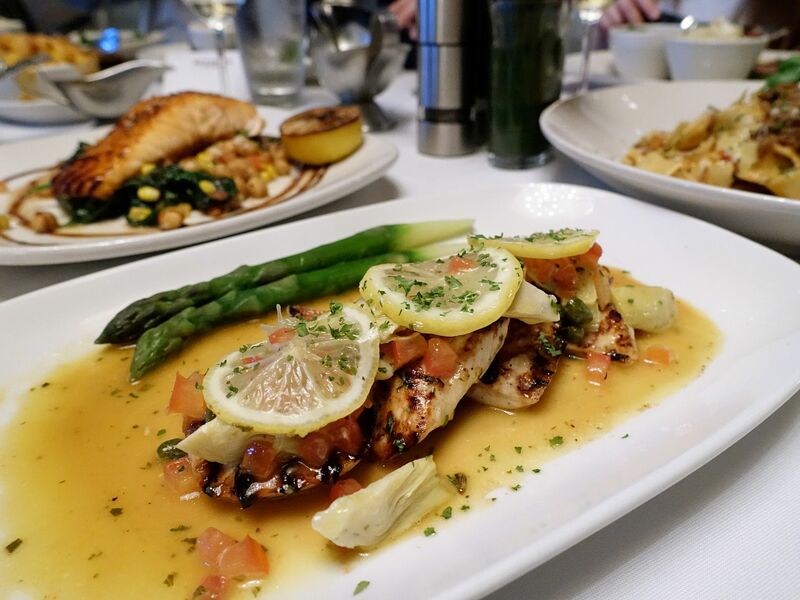 Morton's Sunday Lunch Set is available on Sundays from 12 - 3pm. The a-la-carte menu is also available for order between 12 - 9pm.